Among those weighing in were his longtime allies and beneficiaries Meryl Streep, Kate Winslet, Kevin Smith and Judi Dench. They spoke up with a combination of disgust over his alleged behavior and remorse or defensiveness over their own business entanglements with him. Even the actors' labor union SAG-AFTRA joined the chorus in condemning the disgraced movie mogul, calling reports of his alleged conduct "abhorrent and unacceptable." Director Kevin Smith, whose movies "Clerks" and "Chasing Amy" were produced by Weinstein, noted on Twitter that the producer financed the first 14 years of his career. "Now I know while I was profiting, others were in terrible pain," Smith wrote. "It makes me feel ashamed." Weinstein, 65, was fired Sunday by the Weinstein Co., the studio he co-founded, three days after a bombshell New York Times expose alleged decades of crude sexual behavior on his part toward female employees and actresses, including Ashley Judd. The Times said at least eight settlements had been reached with women. Streep, who once called Weinstein "God" while accepting the Golden Globe for "The Iron Lady," condemned his alleged conduct as "inexcusable" while also saying she did not know about it before. "The disgraceful news about Harvey Weinstein has appalled those of us whose work he championed, and those whose good and worthy causes he supported," Streep said in a statement. Stories of his behavior, she said, were not universally known in Hollywood. Similarly, Dench, whose awards and nominations have been inextricably linked for two decades to Weinstein, first at his company Miramax and then at the Weinstein Co., said in a statement that she was "completely unaware" of the "horrifying" offenses. "I offer my sympathy to those who have suffered and wholehearted support to those who have spoken out," she wrote. Dench won a best supporting actress Oscar for "Shakespeare in Love" and a nomination for "Philomena." Not all were completely blindsided, however. Kate Winslet, who won an Oscar for The Weinstein Co.'s "The Reader" said in a statement that the alleged behavior is "without question disgraceful and appalling." "I had hoped that these kind of stories were just made up rumors, maybe we have all been naïve," Winslet wrote. Glenn Close had also heard the "vague rumors" of his inappropriate behavior toward. "Harvey has always been decent to me, but now that the rumors are being substantiated, I feel angry and darkly sad," Close said in a statement to the New York Times. "I'm angry, not just at him and the conspiracy of silence around his actions, but also that the 'casting couch' phenomenon, so to speak, is still a reality in our business and in the world: the horrible pressure, the awful expectation put on a woman when a powerful, egotistical, entitled bully expects sexual favors in exchange for a job." Close called on everyone to unite on both an institutional and personal level to create a new culture of, "respect, equality and empowerment." A studio insider who was not authorized to discuss the matter and spoke on condition of anonymity told The Associated Press that the Weinstein Co. plans to change its name. Also, Weinstein's name will be stripped from the TV series "Waco" and "Yellowstone," among other projects. Actress Lena Dunham tweeted Sunday night, "Easy to think Weinstein company took swift action but this has actually been the slowest action because they always always knew." Under Weinstein's leadership, the Weinstein Co. has been a dominant force at the Oscars. It accomplished the rare feat of winning back-to-back best picture Academy Awards with "The King's Speech" and "The Artist." 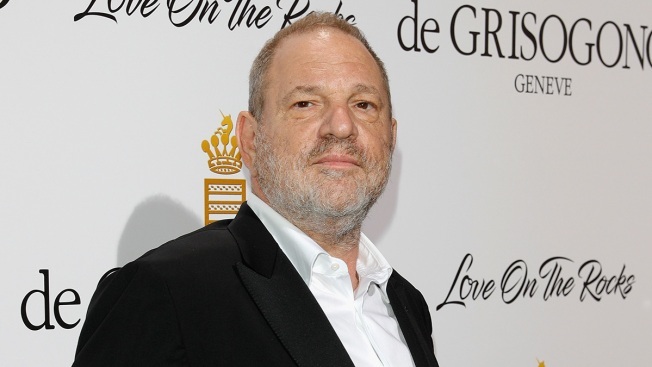 In recent years, however, Weinstein's status has diminished because of money shortages, disappointing box-office returns and executive departures. His other movie credits over the years include "Pulp Fiction" and "The English Patient"
Since the Times article, more accounts of predatory behavior have followed. Sivan said she had rejected an attempt by Weinstein to kiss her, and he responded: "Well, can you just stand there and shut up?" The swift fall of one of Hollywood's most powerful figures has turned up the pressure on many in the industry to speak out. "What Harvey Weinstein did was abhorrent. He admits he did it. Why should anyone be silent in their disgust and support for his victims?" director Judd Apatow said on Twitter. SAG-AFTRA said in its statement Monday said that everyone has the right to work in an environment free of discrimination and harassment. It provided the number for their safety hotline too. "There is more to be done by all of us to ensure the safety of women in the industry," the organization said.